I can admit that I do not love every single aspect of chores. I get really tired of mud and puddles. makes me long for a warm, sunny vacation. and I don’t mind the feed bills quite so much. The worry and work is worth it. I don’t just make the coffee, I enjoy it. 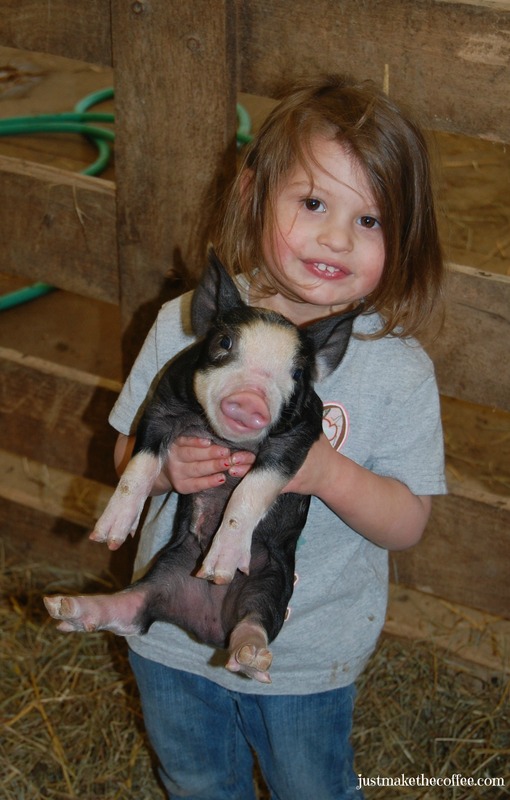 This entry was posted in Berkshire Pigs, Boer Goats, Country Living, Friends and Family, Work/Career and tagged baby animals, Berkshire piglets, Boer Goat Kidding, chores, family, farm animal photos, just make the coffee. Bookmark the permalink. They make chores much more entertaining. 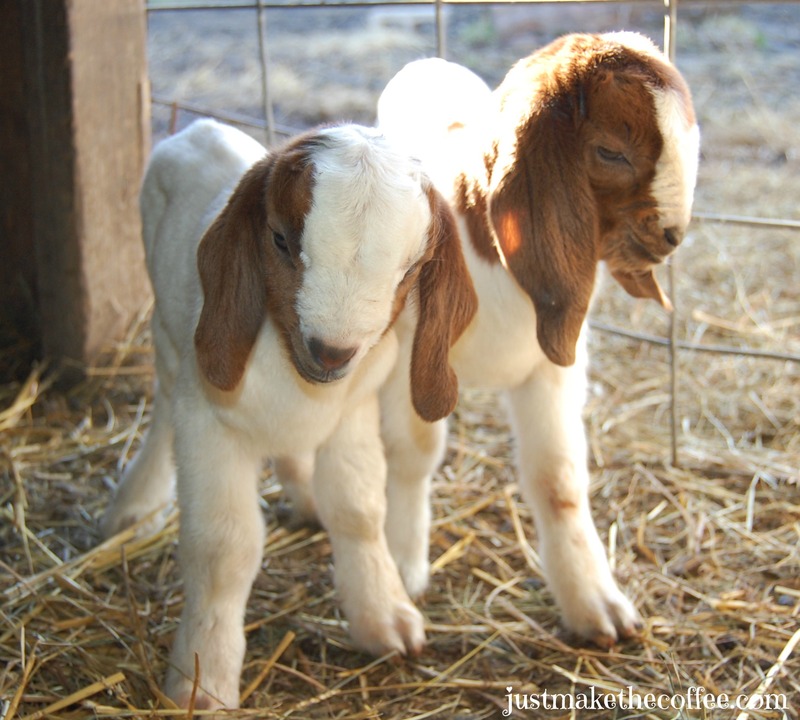 You have new kids on the farm? AHHHH!!!!! 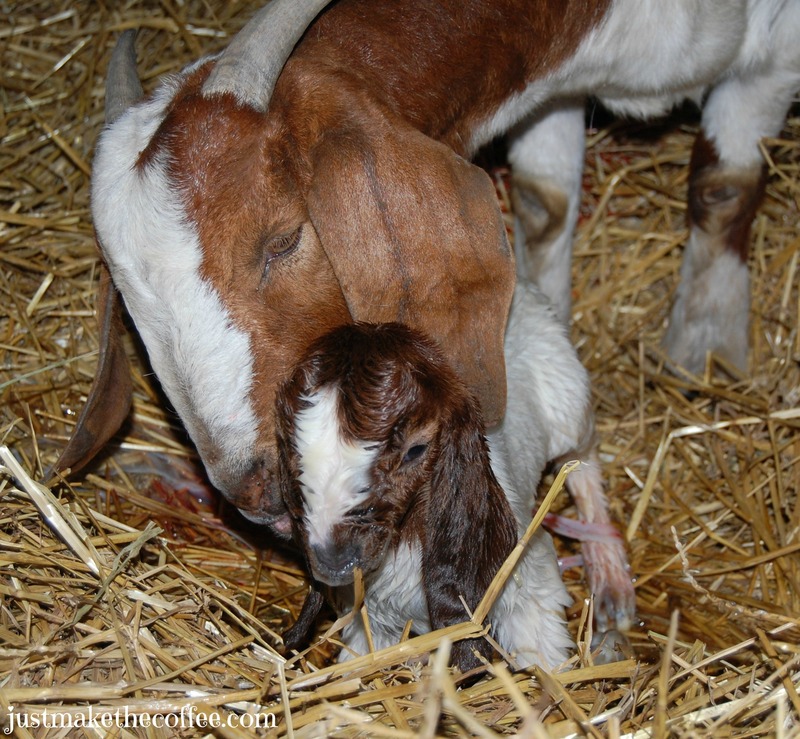 The little girl is precious and the newborn goats are sweet. Love your posts. Beautiful pictures and beautifully written. 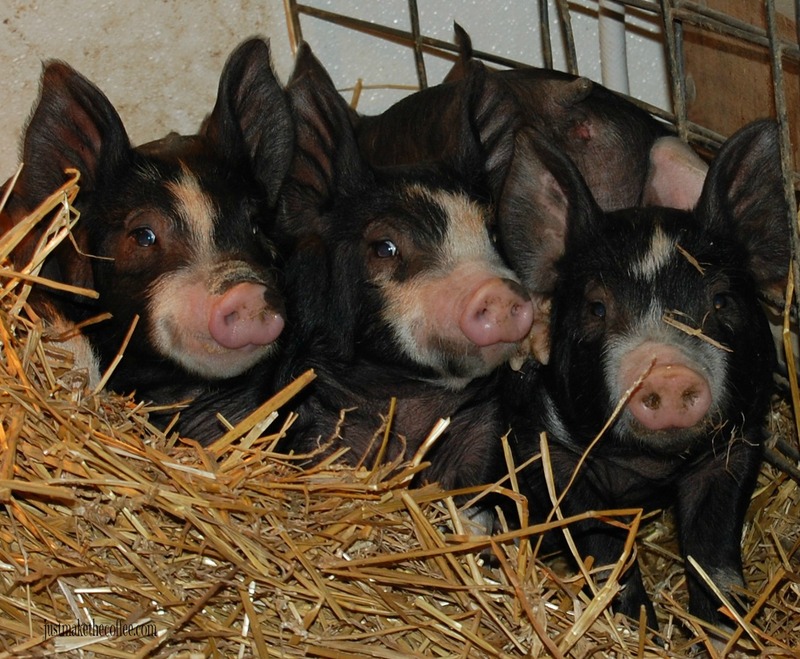 Piglets always seem to be smiling. Kids are adorable. Yes, I agree: life is a miracle. Adorableness – such a blessing to see! !